"We're learning painfully that we shouldn't be doing those kinds of exemptions," said Don Brown, a former legislator from the Panhandle who now sits on the Florida Building Commission. "We are vulnerable as any other part of the state. There was this whole notion that the trees were going to help us, take the wind out of the storm. Those trees become projectiles and flying objects." Hurricane Andrew a generation ago razed Florida's most-populated areas with winds up to 165 mph (265 kph), damaging or blowing apart over 125,000 homes and obliterating almost all mobile homes in its path. The acres of flattened homes showed how contractors cut corners amid the patchwork of codes Florida had at the time. For example, flimsy particle board was used under roofs instead of sturdier plywood, and staples were used instead of roofing nails. Since 2001, structures statewide must be built to withstand winds of 111 mph (178 kph) and up; the Miami area is considered a "high velocity hurricane zone" with much higher standards, requiring many structures to withstand hurricane winds in excess of 170 mph (273 kph). Though Michael was packing winds as high as 155 mph, any boost in the level of safety requirements for builders helps a home avoid disintegrating in a hurricane. Tom Lee, a homebuilder and legislator, says past hurricanes have shown time and time again that the stricter codes help. He said during past hurricanes he looked at the damage by plane and could tell if a home was built before the new code. "The structural integrity of our housing stock is leaps and bounds beyond what it was," said Lee. The powerful Hurricane Michael made landfall Wednesday as a Category 4 storm, slamming Panama City, Florida, with 155-mph winds and torrential rain. The codes call for shatterproof windows, fortified roofs and reinforced concrete pillars, among other specifications. But it wasn't until 2007 that homes built in the Panhandle more than one mile from shore were required to follow the higher standards. 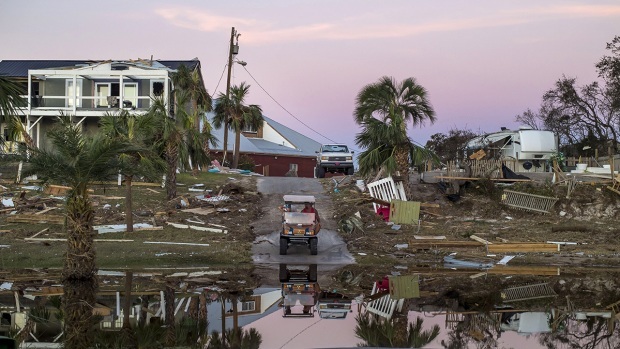 And Hurricane Michael pummeled the region with devastating winds from the sea all the way into Georgia, destroying buildings more than 70 miles from the shoreline. Gov. Rick Scott said it may be time for Florida to boost its standards — considered the toughest in the nation— even further. "After every event, you always go back and look what you can do better," Scott said. "After Andrew, the codes changed dramatically in our state. Every time something like this happens, you have to say to yourself, 'Is there something we can do better?'" 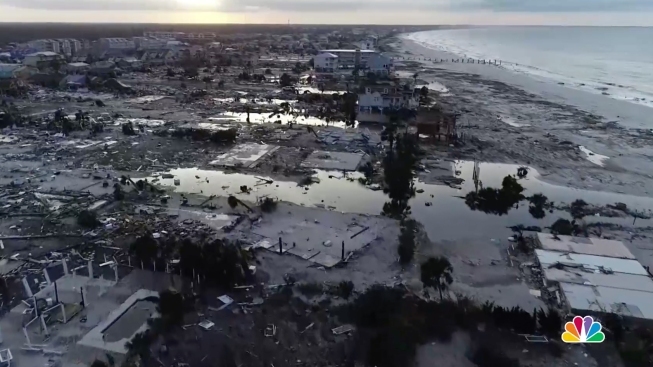 Mexico Beach, the Gulf Coast town destroyed by Michael, lacked a lot of new or retrofitted construction, said Craig Fugate, the former director of the Federal Emergency Management Agency and a former emergency management chief for the state of Florida. The small seaside community had a lot of older mobile homes and low-income year-round residents working in the commercial fishing and service industries. "Quiet, idyllic, what I call 'Old Florida,'" Fugate said. "This is not a bunch of high rises or brand new developments." Bill Herrle, who owned a house near the shoreline in Mexico Beach until it was destroyed by the storm, said he wasn't sure it made a difference when the homes there were built. He said the storm took out his house built in the mid-80s as well as newer buildings put up recently. "It wiped out both the older and newer homes. It looks like my entire street is razed," said Herrle, who was not in Mexico Beach during the storm. David Prevatt, an associate professor of civil and coastal engineering at the University of Florida, said in an email Thursday that drone footage of the devastation in Mexico Beach showed structural damage to roofs and exterior walls, and damaged rafters and trusses, "indicating the strength of the wind that caused those failures." Prevatt noted the damage could have occurred at wind speeds lower than the 155 mph (250 kph) that the National Hurricane Center reported at Michael's landfall. That is, the homes could have been peeling apart before the eye and the hurricane's strongest core winds came ashore. Prevatt was preparing to lead a team to assess the damage. He said engineers will be asking how old the destroyed and damaged buildings were and under what version of the Florida building codes they were built. They also will be looking at the differences between the structures that survived and those that did not. Associated Press reporter Jennifer Kay contributed to this story.